Last week, I constructed a list of what I thought to be the five best uses of cel shading in gaming in terms of how effectively they melded with the feel, atmosphere and mood of the game. While I think my original list was strong and I stand by my original choices, it was not without its flaws, and thanks to the always-insightful comments section, I realized that there were some titles that deserved to be there, but weren’t. I’m doing this to appease no one but me…don’t call me Bioware. As an enthusiast, no, a beau of this writer’s inamorata that is cel shading, I am giving these games shine because they do, indeed, do use cel shading beautifully. Am I reading a comic or playing one? There are games that come along that are almost too different for their own good, even if they are great. 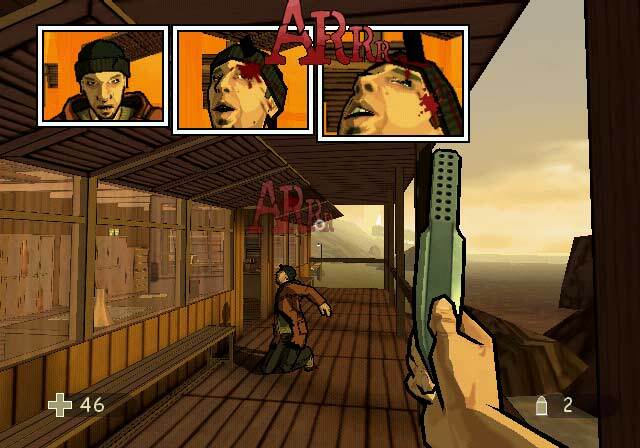 Inspired by the French comic of the same name, XIII was one of those games, whose cel shaded visuals were not exactly traditional for the normally staunch FPS genre. Using onomatopoeias to depict an approaching guards footsteps, slick comic panels to display a gruesome kill and iconic text bubbles during dialog, XII was a comic reincarnated into the digital realm. The unique sneaking mechanics and great plot were just the icing on a very pretty cake. You know you've nailed cel shading when just running around looks cool. Anime is a treasure trove for video game developers. They already have a story written out for them, many are action oriented and characters are already developed. Naruto: Rise of a Ninja took full advantage of these things in creating a convincing world ripped directly from the Naruto universe. Just maneuvering the titular character about the world was a treat as the boy sped up – watching the colorful plumes of dust kick up and seeing the sense of speed visualized in white streaks was great. There couldn’t be a better world to see made into a cel shaded video game. 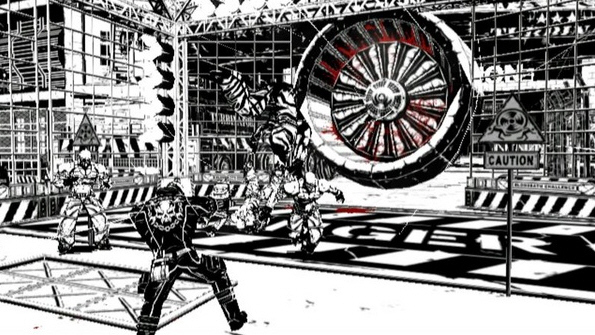 From the utterly fu…err…unique mind of Suda51, Killer 7 was something of an art house piece. As expected coming from Mr. Suda, the world in which the game took place was a strange one. The graphics did far more than make the game pretty, however; they enhanced the noir atmosphere tenfold and lent perfectly to the surreality that ran throughout the game’s psychological, conspiracy-ridden plot. It plays how it looks. This is the only game on the list that I haven’t played, but after watching many game play videos, there is no doubt in my mind that it deserves to be on here. The game’s use of gravity as the primary mechanic lent an airy feel to the gameplay that melded perfectly with the ethereal tone of the dream-like, amnesiac tale. If there is one game that makes me want to own a PS Vita, this is it. Now THAT's some effective violence. What better way to depict a world in which violence reigns than rendering the whole thing in black and white and have blood red represent the only other color in the game besides the yellow text? The noir-ish/comic book-ish atmosphere the game had was visualized by the visuals that almost made the gruesome violence that was front and center throughout the entire experience that much more disturbing, even when it was almost comical (Man Darts, anyone?). Still think that there are games you think use cel shading even better? Let us know in the comments below! (No, I will not make another list on this topic – sorry! ).